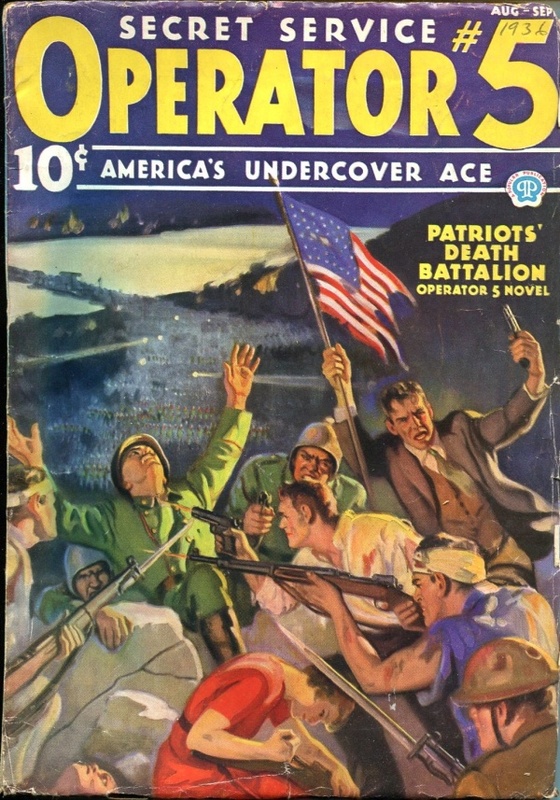 With his ragged little army of patriots, Operator #5 marches out to battle — to draw off the Japanese from their siege of the eastern states and end the terrible Asiatic plague which had cloaked America in midnight darkness! 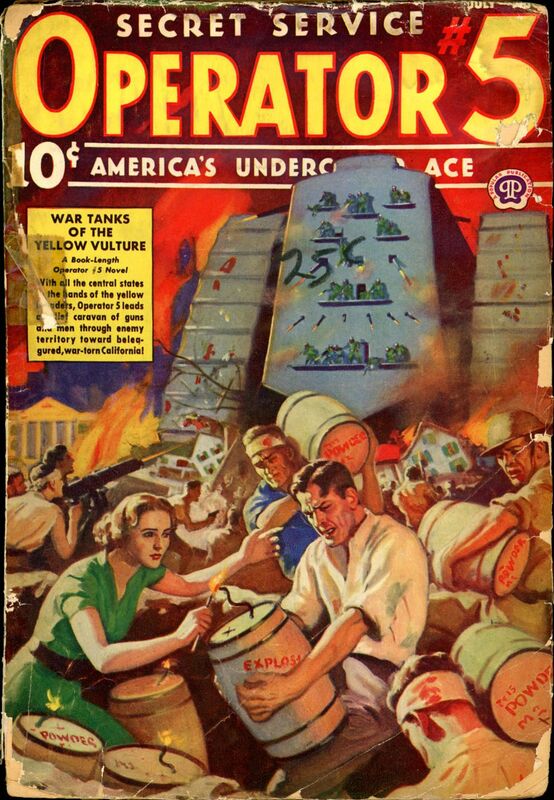 With all of the central states in the hands of the yellow invaders, Operator 5 leads a relief caravan of guns and men through enemy territory towards beleaguered, war-torn California! 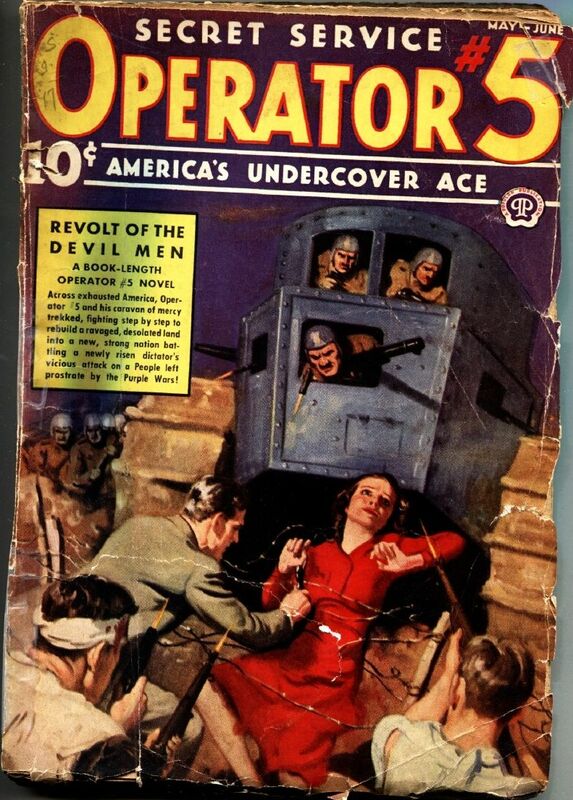 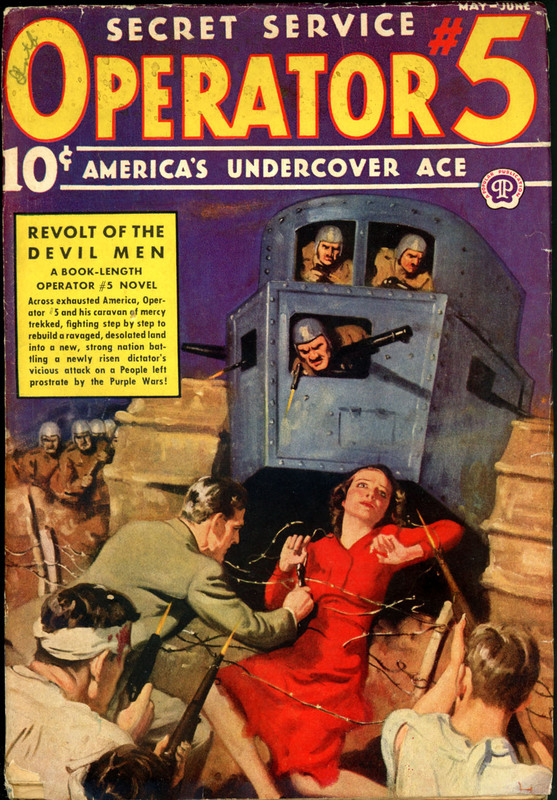 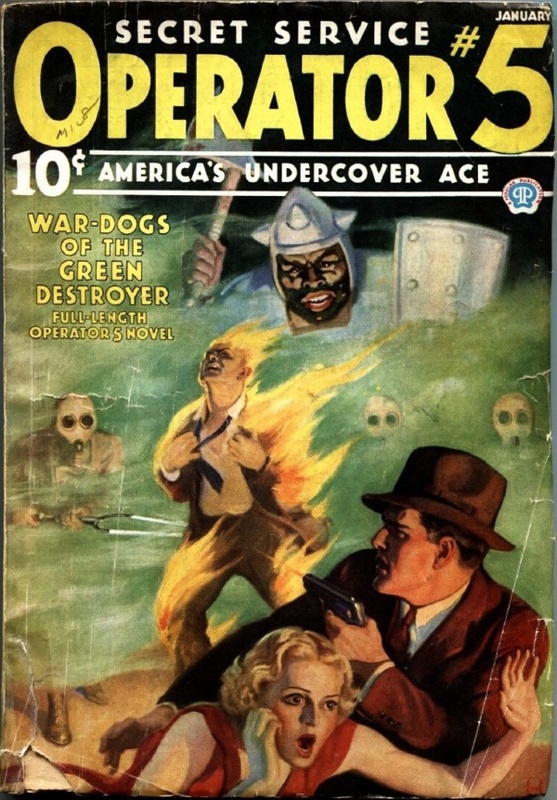 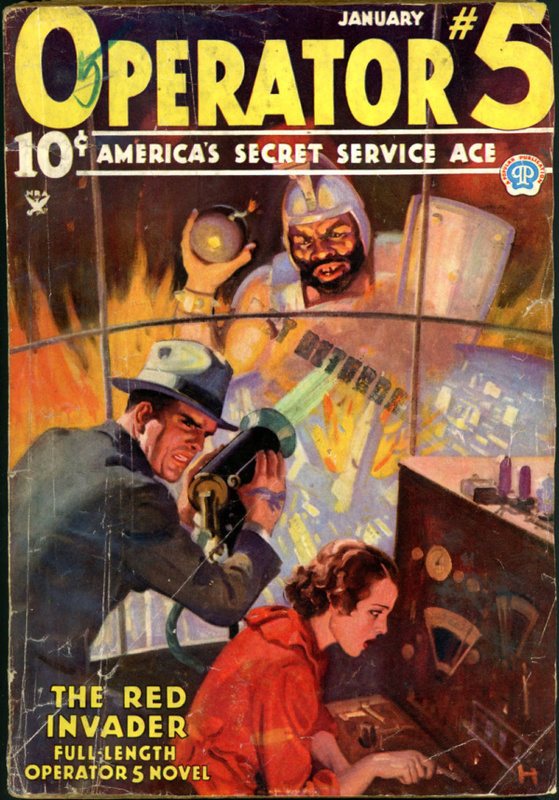 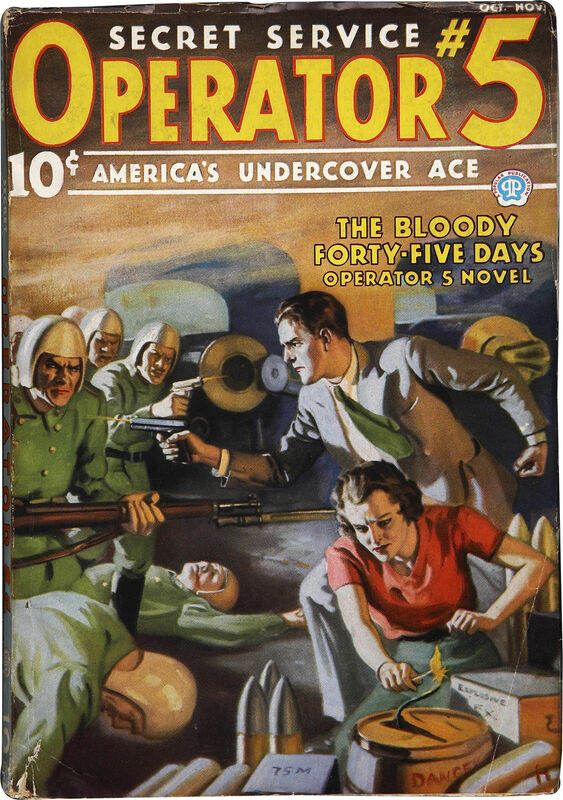 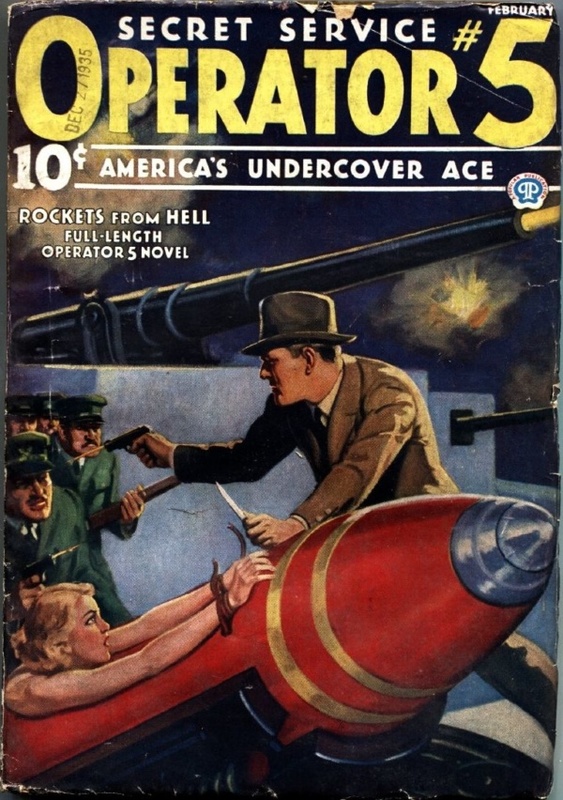 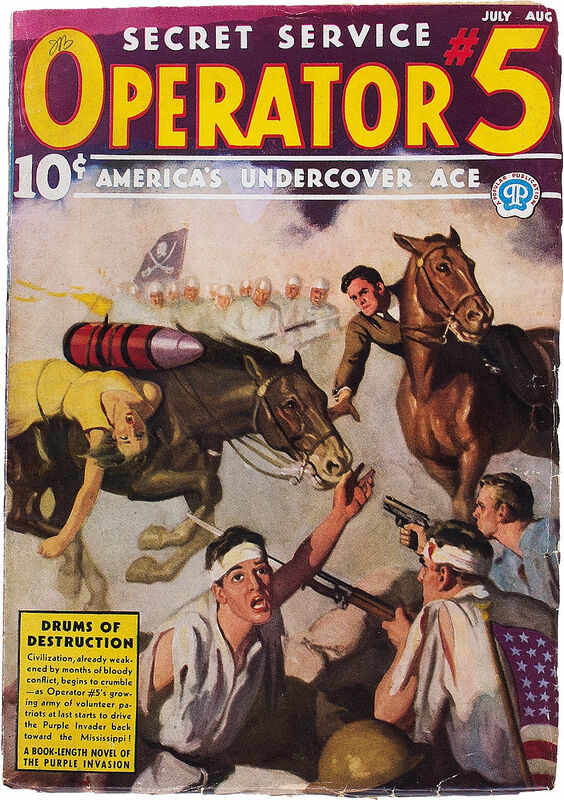 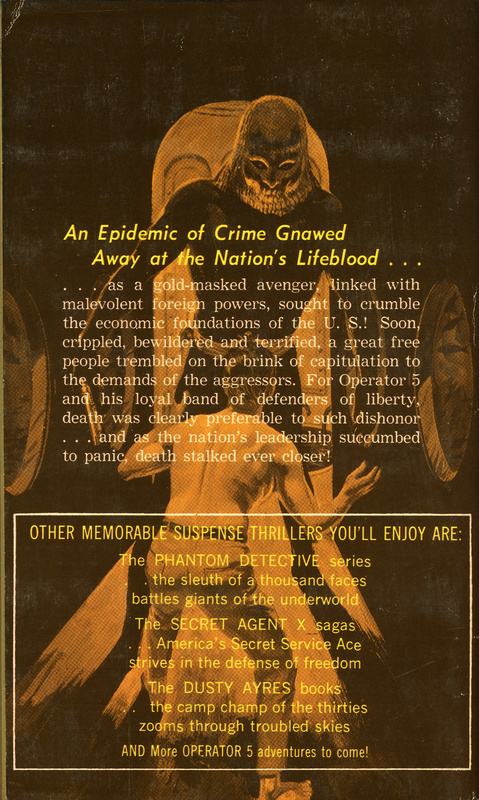 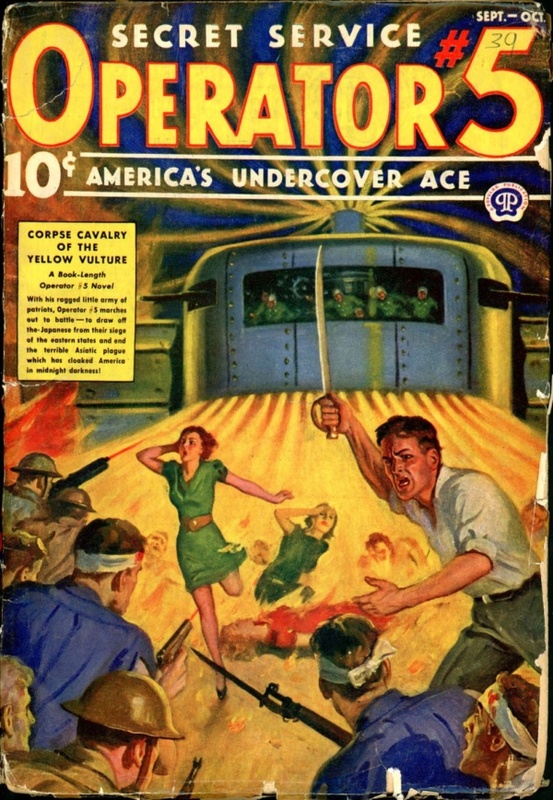 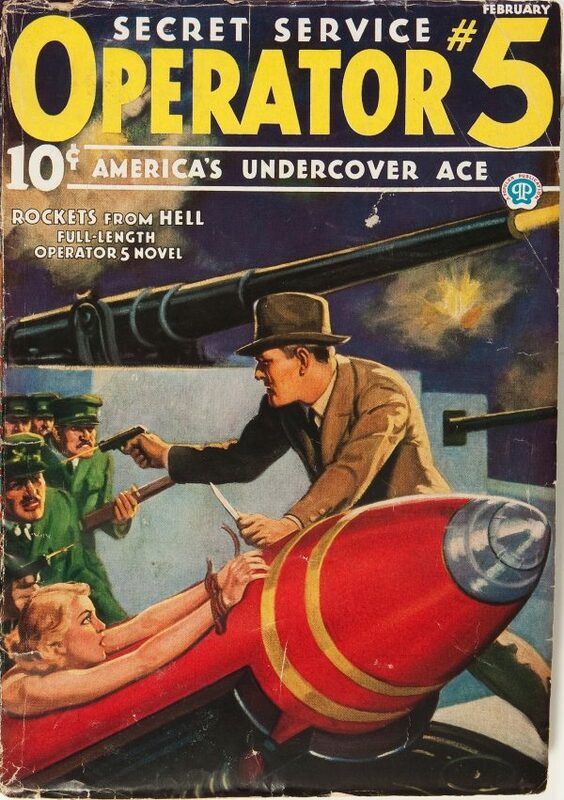 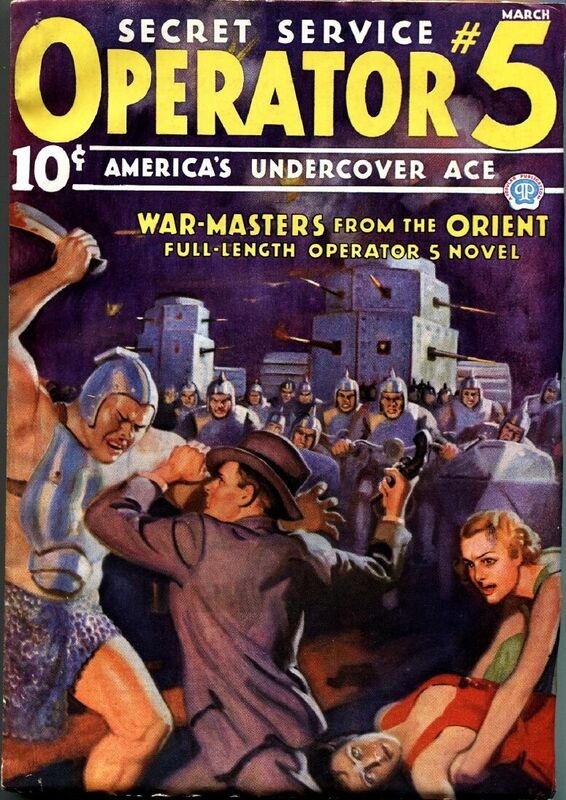 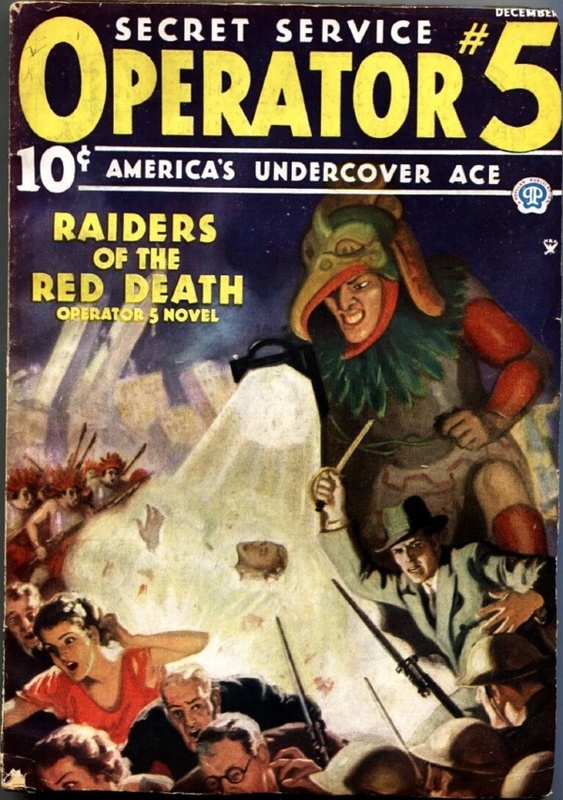 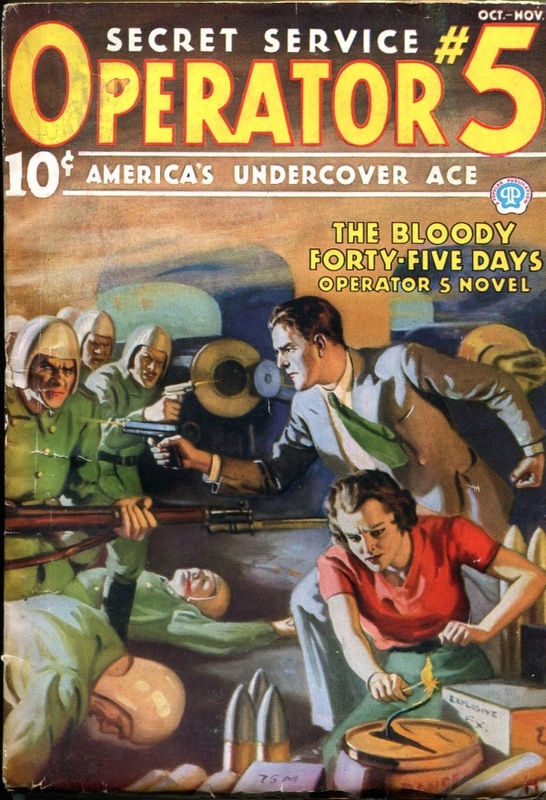 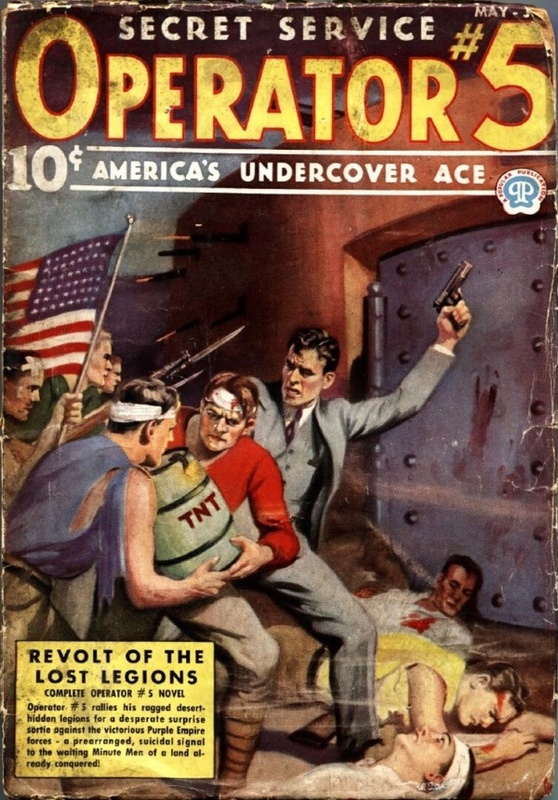 Operator #5 rallies his ragged desert-hidden legions for a desperate surprise sortie against the victorious Purple Empire forces — a prearranged, suicidal signal to the waiting Minute Men of a land already conquered! 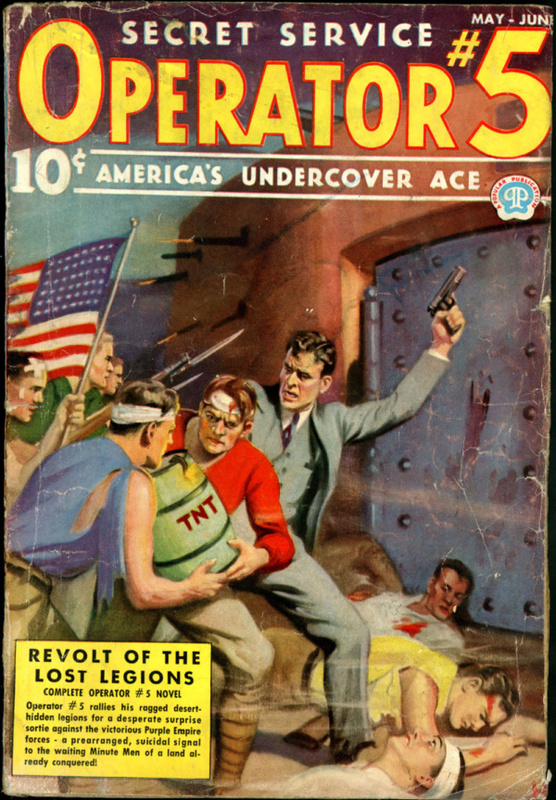 America, last citadel of freedom and democracy in the world, has made a valiant but futile stand against the ravening war hordes of the cruel conqueror, Rudolph I, the man whose super fighting machine is ruthlessly putting the nations of civilized men in thrall. 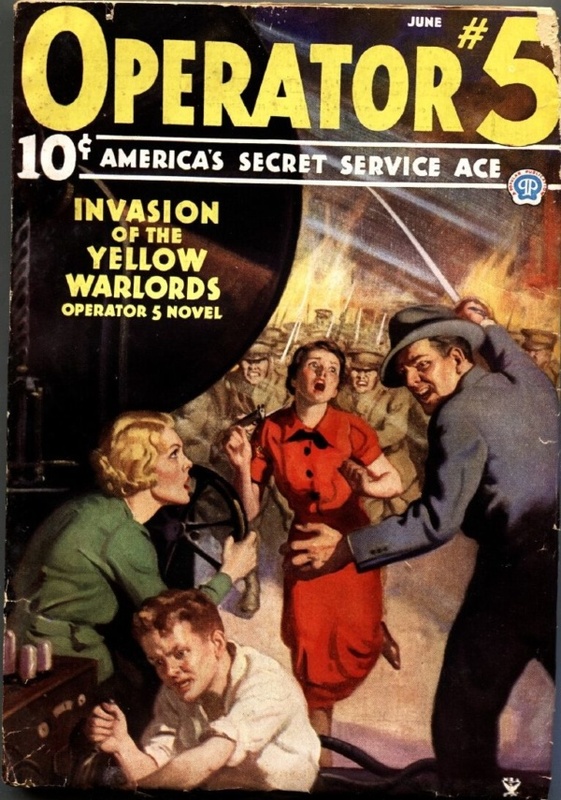 Daily mass executions of men and women — even children — on the Eastern seaboard, are but one of the diabolical means of bringing the surviving patriots to heel. 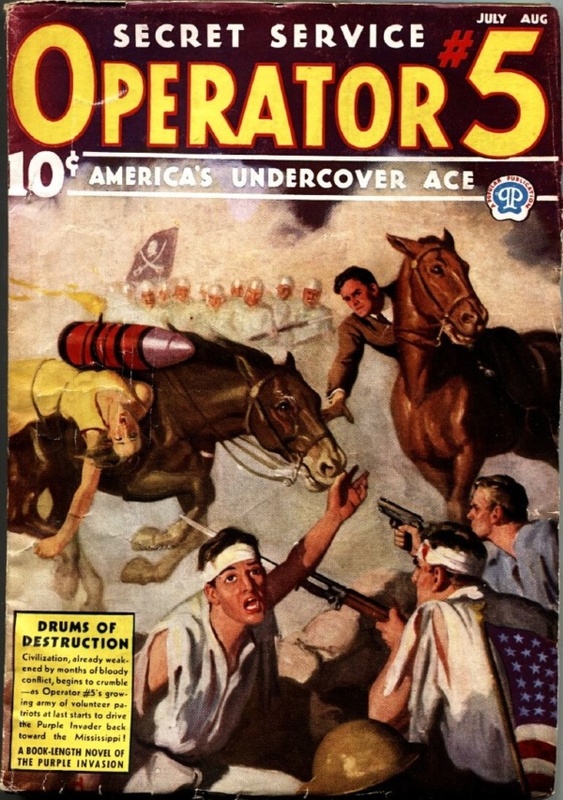 But there is one band who will never yield, who grimly say: “Death before dishonor!” Their leader, Jimmy Christopher, known to them as Operator 5, realizes that only one bold, desperate move can furnish his fellow American s with the thundering fleet of air destroyers with which alone they can hope to save their country. 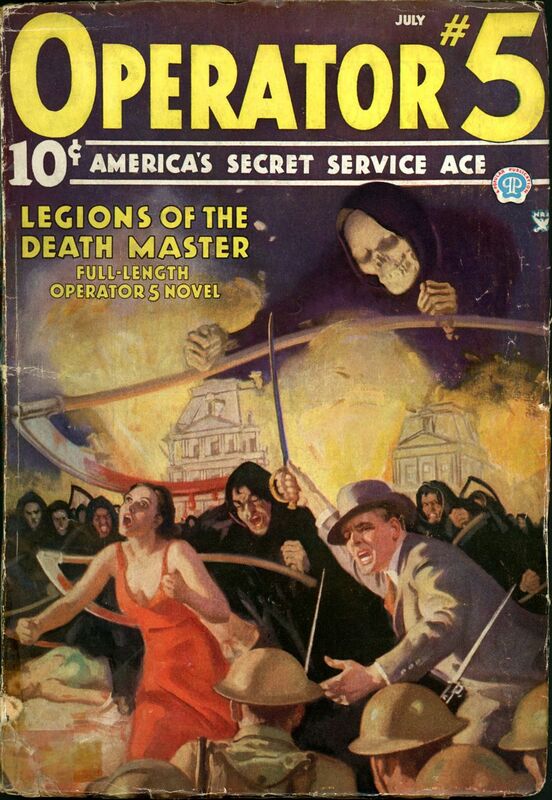 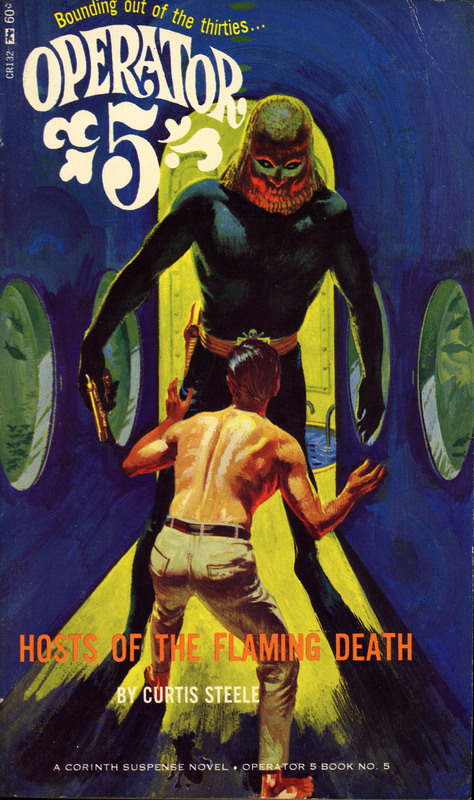 Grimly, quickly, silently, he sets his plan into action!